Apple said on Monday that it sold more than four million iPhone 4S devices in the first weekend the smartphone has been on sale. In addition, the company said that more than 25 million devices are now running iOS 5, the latest version of the operating system that powers the iPhone, iPod touch and iPad. The new version of iOS became available last Wednesday. Furthermore, Apple said that more than 20 million people have signed up for iCloud. “IPhone 4S is off to a great start with more than four million sold in its first weekend — the most ever for a phone and more than double the iPhone 4 launch during its first three days,” Apple Senior VP Phil Schiller said in a statement. 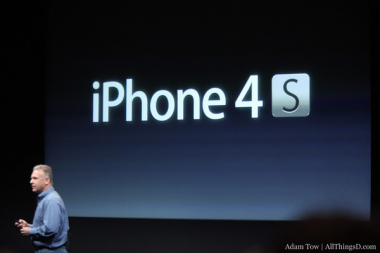 The company earlier said it had sold one million iPhone 4S devices in the first day of taking preorders. AT&T and Sprint said last week that they had seen record sales on Friday, the first day customers could pick up an iPhone 4S at stores. The latest iPhone is currently on sale in the U.S., Canada, France, Germany, Japan and the United Kingdom. On Oct. 28, it will go on sale in 22 more countries, including Austria, Belgium, the Czech Republic, Denmark, Estonia, Finland, Hungary, Ireland, Italy, Mexico, the Netherlands, Norway, Singapore, Slovakia, Slovenia, Spain, Sweden and Switzerland. Apple plans to have the phone on sale in 70 countries by year’s end.